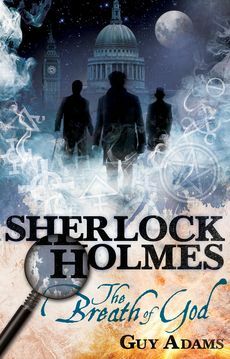 I've been a fan of Sherlock Holmes ever since reading the short stories as a child in my school's library - an old building of granite, dark wood and leather that would have been entirely comfortable within the pages of an Arthur Conan Doyle story. When working as an actor I tried the character on for size twice. Initially it was in an entirely nonsensical comedy sketch I wrote for Adams & Jarrett, the prosaically titled touring show Phil Jarret and I hiked around provincial theatres and comedy clubs. Occasionally we would perform to literally tens of people. Sometimes they laughed. a play originally commissioned by Holmes actor, Jeremy Brett. I didn't play the part particularly well, it was a shallow imitation of Brett who was - and still is - my favourite actor in the role. It's hard to play a character afresh when you think someone else has already hit the nail on the head. The local reviewers were nice enough though and I got to embarrass my co-star (who was a superb Watson, understated and delicate) by jumping in the river Avon with a bunch of theatre students from the Carpe Diem Theatre School (I kept insisting that Carpe Diem meant 'fish of God', the sort of Latin joke that appeals to dead Romans with no sense of humour). Since becoming a writer I've also become involved with Holmes, both in a slightly fraught coffee-table book and a pair of novels for Titan Books. SHERLOCK HOLMES: THE BREATH OF GOD. The nineteenth century is about to draw to a close. In its place will come the twentieth, a century of change, a century of science, a century that will see the superstitions of the past swept away. There are some who are determined to see that never happens. A body is found crushed to death in the snow of Grosvenor Square. There are no footprints anywhere near it. It is almost as if the man was killed by the air itself. This is the first in a series of attacks that sees a handful of London's most prominent occultists murdered. While pursuing the case, consulting detective Sherlock Holmes and his trusty biographer and friend Dr. John Watson find themselves dragged from their Baker Street rooms to Scotland to meet with the one person they have been told can help: Aleister Crowley. As dark powers encircle them, Holmes' rationalist beliefs begin to be questioned. The unbelievable and unholy are on their trail as they gather a group of the most accomplished occult minds in the country: Doctor John Silence, the so-called Psychic Doctor; supernatural investigator Thomas Carnacki; runic expert and demonologist, Julian Karswell... But will they be enough? As the century draws to a close it seems London is ready to fall and the infernal abyss is growing wide enough to swallow us all. Following the trail of several corpses seemingly killed by wild animals, Holmes and Watson stumble upon the experiments of Doctor Moreau. Moreau, though vivisection and crude genetic engineering is creating animal hybrids, determined to prove the evolutionary theories of Charles Darwin. In his laboratory, hidden among the opium dens of Rotherhithe, Moreau is building an army of beast men. Tired of having his work ignored -- or reviled -- by the British scientific community, Moreau is willing to make the world pay attention using his creatures as a force to gain control of the government. In The Breath of God I played with supernatural literature, this time it was the turn of the Scientific Romance. One again I payed homage (or nicked) other characters to help me do so, including one of my own, Roger Carruthers from The World House novels. Sherlock Holmes is undoubtedly the most famous detective in the world. His adventures have been portrayed in fourteen different TV series and twenty different TV movies as well as around 600 Holmes-related radio programs. He has been inducted as an honorary fellow of the Royal Society of Chemistry, the only fictional character ever to achieve such distinction. In the UK, a national computer database used by the police is called HOLMES - Home Office Large Major Enquiry System. In short, everyone knows that Sherlock Holmes is the greatest detective who never lived, but his fictional adventures have held us in thrall for over 120 years. 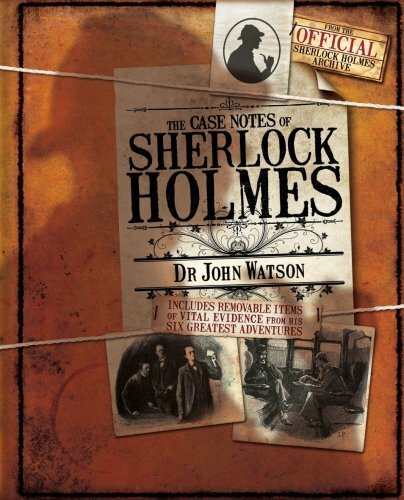 "The Case Notes of Sherlock Holmes" is written, just as most of his adventures, by his trusty friend Dr John H Watson. These are the notes on which Watson based his later, more elaborate accounts of Holmes' investigations. They take the form of a scrapbook containing letters, sketches, newspaper articles and other items sometimes mentioned in the more familiar forms of these stories, but often neglected. Here you will find Watson's sketches of the paw prints discovered near the body of Sir Charles Baskerville, the address label from the gruesome parcel that was sent to Susan Cushing in "The Adventure of the Cardboard Box", Sherlock Holmes' final, heartrending letter to Watson before his violent struggle with Moriarty in "The Final Problem", as well as many other fascinating documents. All of the items are reproduced as genuine historical artifacts, with tears, stains, folds and handwritten annotations by Watson. Eighteen of these items are held in special 'evidence' bags on the page, to be removed for easy study by the reader. Painstakingly researched, beautifully designed and packaged, and rich in period detail, this is a book that brings the world of 221b Baker Street vividly to life. 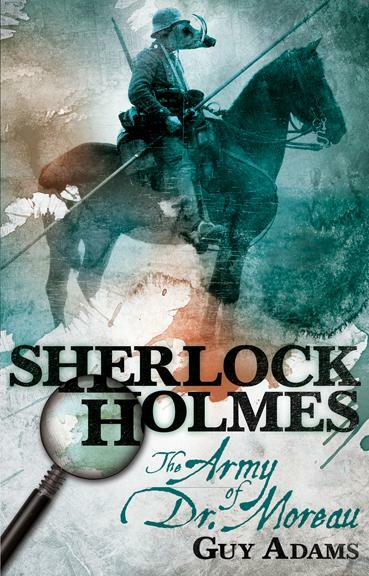 It is a volume that no Sherlock Holmes fan will want to be without.